Posted on 8, September 2016 by EuropaWire PR Editors | This entry was posted in Financial, Germany, Insurance, Management, Technology and tagged Allianz Group, Allianz X, Christof Mascher, Peter Borchers, Solmaz Altin. Bookmark the permalink. Peter Borchers, new CEO of Allianz X as of October 1. The recently established unit Allianz X has won Peter Borchers to become CEO as of October 1, 2016. 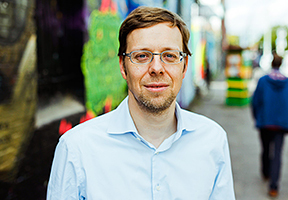 MUNICH, 08-Sep-2016 — /EuropaWire/ — Peter Borchers is one of the most experienced and highly respected leaders in the area of corporate incubation and corporate start-up collaboration. He will join Allianz from hub:raum/Deutsche Telekom. Allianz X is one of the key pillars of the Digital Transformation strategy of Allianz Group and represents the company builder and venturing unit. Allianz X will be identifying, building and globally scaling new business models in the InsurTech space with the highest degree of entrepreneurial freedom. Allianz X helps building companies that serve and improve the lives of customers and can have impact on a global scale. 1Groundbreaking, non-incremental innovations with the potential to significantly alter peoples’ lives. Such deviations may arise due to, without limitation, (i) changes of the general economic conditions and competitive situation, particularly in the Allianz Group’s core business and core markets, (ii) performance of financial markets (particularly market volatility, liquidity and credit events) (iii) frequency and severity of insured loss events, including from natural catastrophes, and the development of loss expenses, (iv) mortality and morbidity levels and trends, (v) persistency levels, (vi) particularly in the banking business, the extent of credit defaults, (vii) interest rate levels, (viii) currency exchange rates including the Euro/U.S. Dollar exchange rate, (ix) changes in laws and regulations, including tax regulations, (x) the impact of acquisitions, including related integration issues, and reorganization measures, and (xi) general competitive factors, in each case on a local, regional, national and/or global basis. Many of these factors may be more likely to occur, or more pronounced, as a result of terrorist activities and their consequences. The company assumes no obligation to update any information or forward-looking statement contained herein, save for any information required to be disclosed by law.